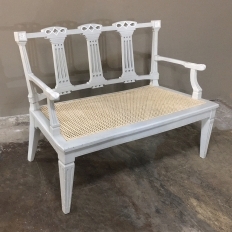 Antique canapés, or antique sofas, sometimes called settees, come in as many styles and sizes as antique armchairs, and many times we’ll have a complete antique salon set available while the pieces last. 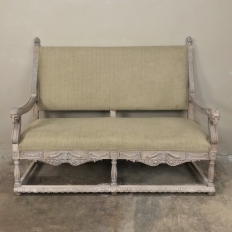 Antique canapés are perfect for creating a cozy seating group for your entertaining room. Upholstered in sumptuous velvet, this Antique 19th Century Country French Sofa features a delightful Louis XV-inspired styling! Circa 1890s. Measures 38.5 x 74 x 30.5; seat height 17.5. 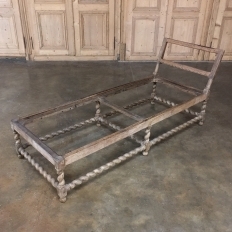 19th Century Italian Baroque Sofa, 1860.